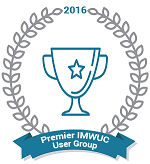 This is YOUR user group! Launched in 2008, we now have a healthy membership of over 710. The user group is run by a committee of members. With the aims of sharing experience, knowledge and discussing best practices for Maximo, do you have a Maximo story to tell? We are always on the lookout for members who wish to share their Maximo experiences and present at one of our user group meetings, or that could provide a venue for a future meeting, holding around 100 people. If you have been to a previous meeting you know the type of presentations we are looking for, if not why not take a look at some of the previous presentations in the files section. As a Premier User Group, we also get access to key IBM designers and developers to get product updates but more importantly to help drive the future development of Maximo. So do you want to help shape the future Maximo? If you are interested in helping the group then please contact our chairman at richard.barber@drax.com. If you'd like to be a member of the group, click the "Join Group" button to the right of this message. Directions to Avonmouth for the 29th November Maximo User Group meeting.